Fashion sunglasses with an impact resistant polycarbonate frame and arms which have a smart shiny metallic finish. 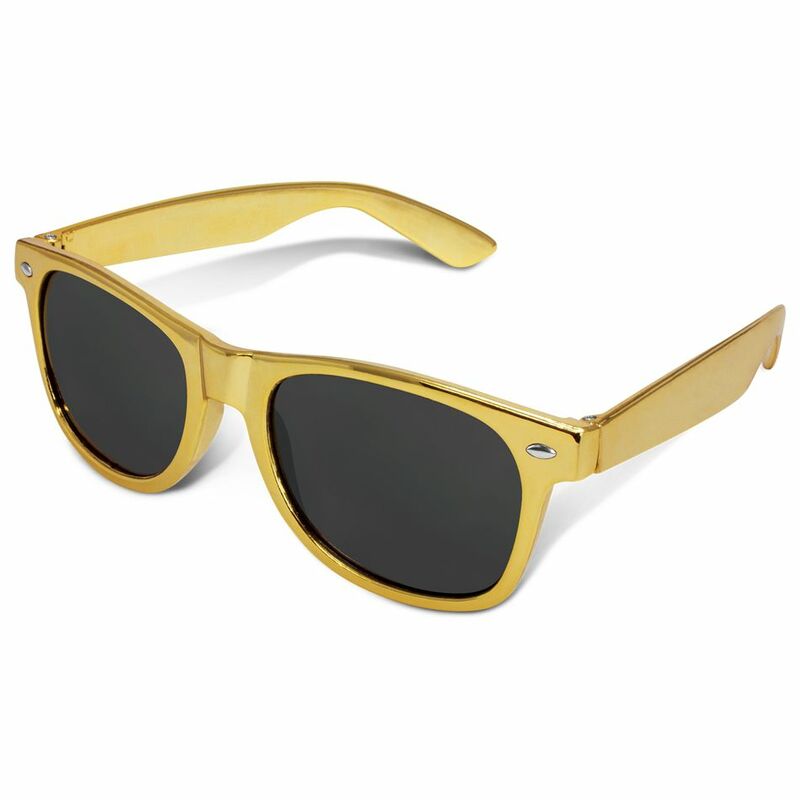 They are fitted with CE standard 100% UV400 lenses which provide both UVA and UVB protection. An optional microfibre pouch is available on request. Printed on both arms.